Offering contemporary apartments with balconies and private parking, Apartments Sata Olimpic Village Area is a 10-minute walk from Vila Olimpica Beach. This stylish property is a 5-minute walk from Marina Metro Station. 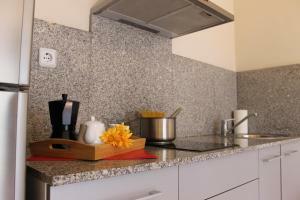 Each air-conditioned apartment is decorated in simple, grey tones with modern finishes. 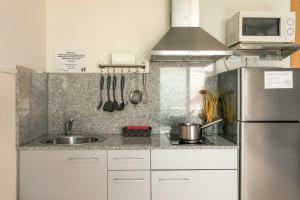 All apartments have a well-equipped kitchenette with a microwave, fridge and hob. 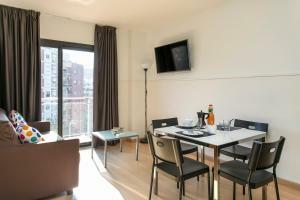 ApartmentsSata Olimpic Village Area is a 15 minutes’ walk from the Olympic Marina and Barcelona’s seafront promenade. The centre of Barcelona can be reached in just 10 minutes, by Metro. 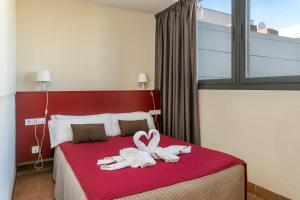 Nord Bus Station is located within a 15-minute walk of the apartments and regular airport trains leave from Passeig de Gràcia Station, which is 5 stops from Bogatell Metro. The check-in procedure will take place at the office located in the same building. Opening hours are: 9:00 to 18:00, Monday to Friday. This apartment features a balcony, a twin bedroom, a living room with a double sofa bed, a seating area, a kitchenette and bathroom. 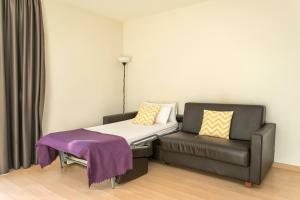 This apartment has a twin bedroom and a single bedroom. It features a balcony, seating area, kitchenette and bathroom. Rate: € 158.89 ... € 168.89; select dates below to get current rates. 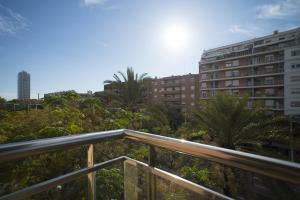 Located on the ground floor, the lower level of this apartment features an interior terrace. It comes with a spacious seating area with a double sofa bed, a kitchenette and bathroom. The upper floor has a twin and single bedroom. 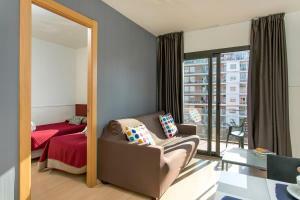 This apartment features a balcony with views over the Sagrada Familia Basilica. 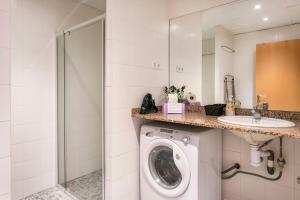 This apartment features a washing machine, a tumble dryer and a DVD player. 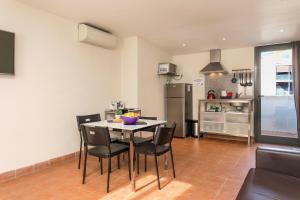 It has 1 double bedroom, a lounge area with a double sofa bed, kitchenette and a bathroom. 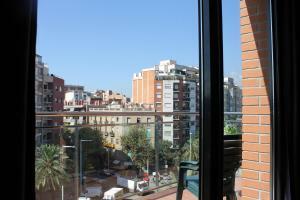 This apartment features a balcony with views over the Sagrada Familia Basilica. 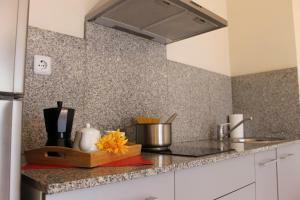 It has 1 double and 1 single bedroom, a lounge area, kitchenette and a bathroom. 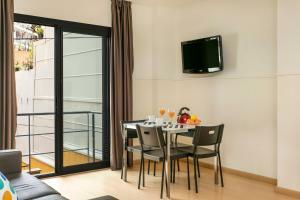 Rate: € 50.00 ... € 176.25; select dates below to get current rates. This apartment is located on the ground floor an it features an interior-facing private terrace and 2 twin bedrooms. It has a lounge area, kitchenette and a bathroom. This apartment is located on the top floor. 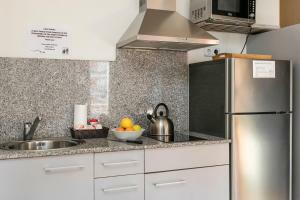 It features 1 twin bedroom, a seating area, kitchenette and bathroom. 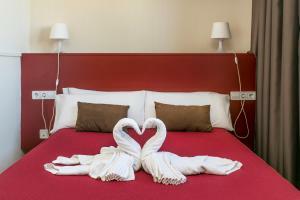 Rate: € 45.00 ... € 190.00; select dates below to get current rates.